Thomas Grisaffi is a social anthropologist who currently works as a research fellow at the UCL Institute of the Americas. He researches coca politics in Bolivia and is a contributor to Foreign Policy In Focus. 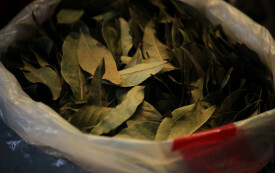 Bolivia has found a way to cut coca production without sacrificing the leaf's cultural importance or cracking down on small growers. But Washington's not having it.